We offer telephone and voice loggers that is a multi channel voice logging tool that works in cohesion with audio channels, IP, analog and digital telephone lines. The voice logs can be used to implement personnel performance reviews, perform self-appraisal and can be used to train customer support staff to handle calls in difficult situations. Available in different technical specifications, these can promise you a problem free communication. 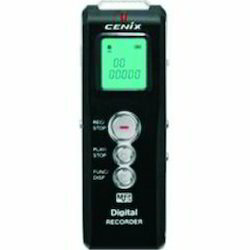 Digital voice recorder has metal case, stere voice Recorder. Compatible with MP3/WMA audio formats. Powered by Li-lion battery. Comes with Music playback, files management and Coded lock functions. The JXD D62 has the features: JXD D62 Digital Voice Recorder Features: Recorder time: 2 GB records 561 hours, HP/SP/LP Recorder modes. Looking for Phone Call Recorder ?